Heartburn refers to a burning pain felt when the digestive juices flow in the wrong direction through the cardiac sphincter at the top of the stomach and into the oesophagus. Digestive Juices are highly acidic and are never meant to leave the stomach, when they do it causes the pain, heartburn. Heartburn during pregnancy may occur at any time but it is more prevalent in the last trimester. Symptoms range from mild discomfort to severe pain with vomiting. Heartburn in Chinese Medicine can be translated as the energy or “Qi” going in the wrong direction and with the use of two or three needles we will correct that imbalance. Acupuncture is highly effective at alleviating heartburn during pregnancy and in addition to the treatment itself we will send you away with Ear Seeds which will give you the tools to alleviate the symptoms yourself as and when they come on. 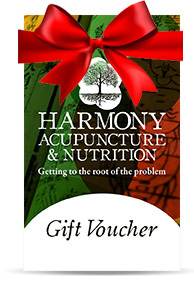 Harmony Acupuncture has great success in treating heartburn during pregnancy.